Head out for an exotic private candlelight dinner with your love, overlooking the beautiful rooftop in the immensely lush space at Amalfi. 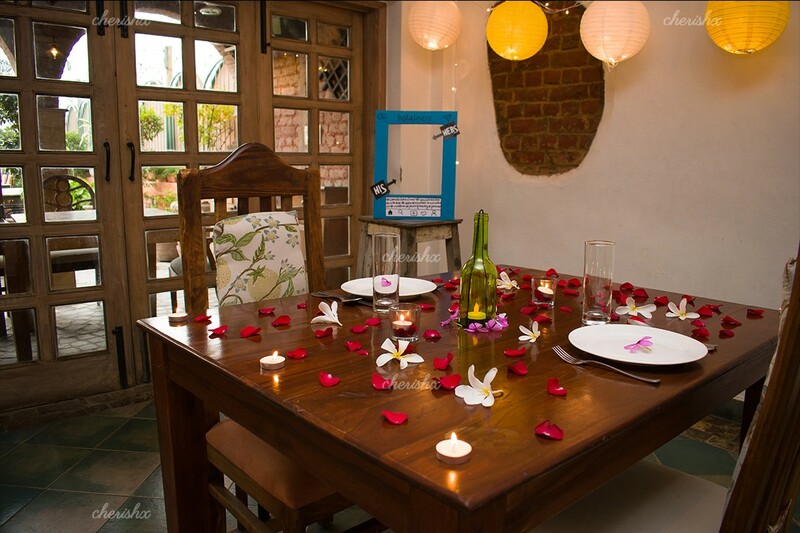 Spend some alone time with your partner in a classy restaurant with the most romantic ambiance. A 3 course dinner with unlimited soft drinks, music & private butler with a special decorated setting awaits you. 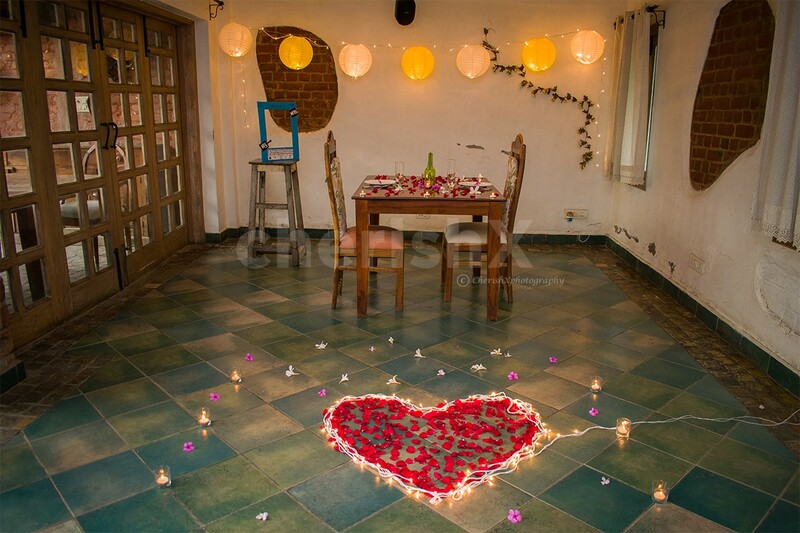 If you love Italian or are willing to try a new cuisine this would be a real captivating experience for you and your partner. 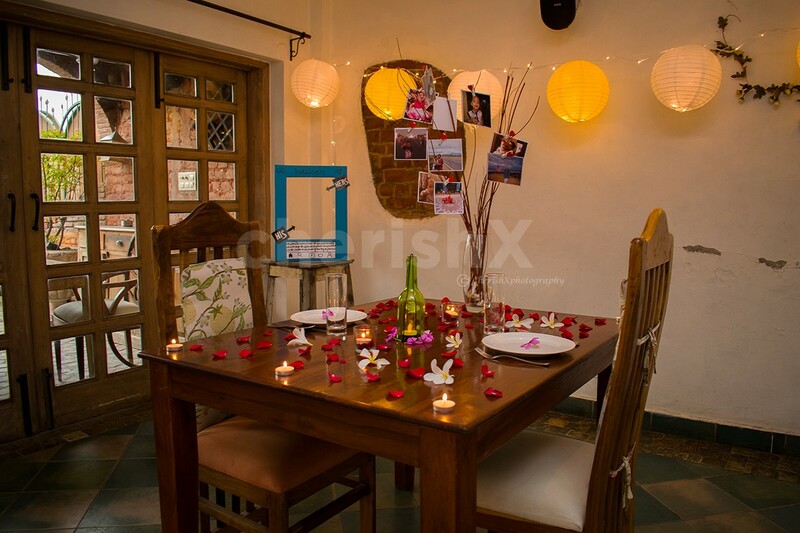 The restaurant conveniently sits in a quaint corner of an otherwise hustling GK2, M Block Market. 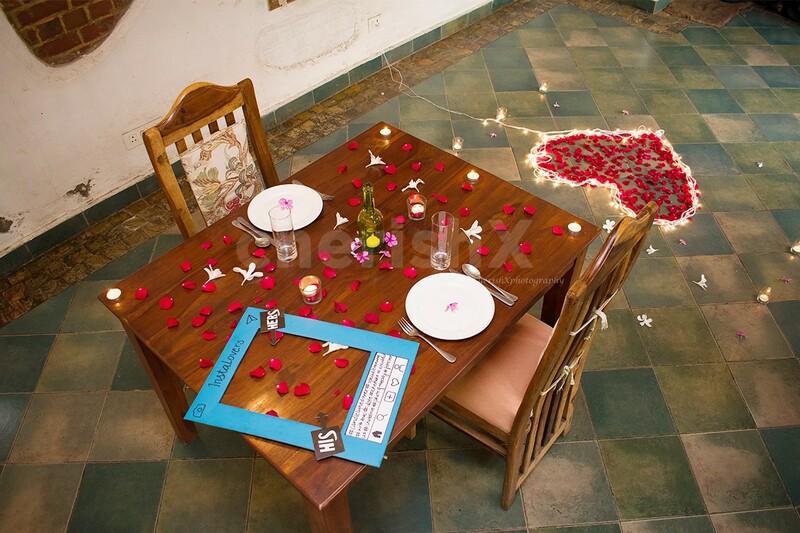 Once you are inside the restaurant, you are guided to your special spot where you enjoy the sinful romantic ambience. There is a light, mostly italian, music playing in the background. 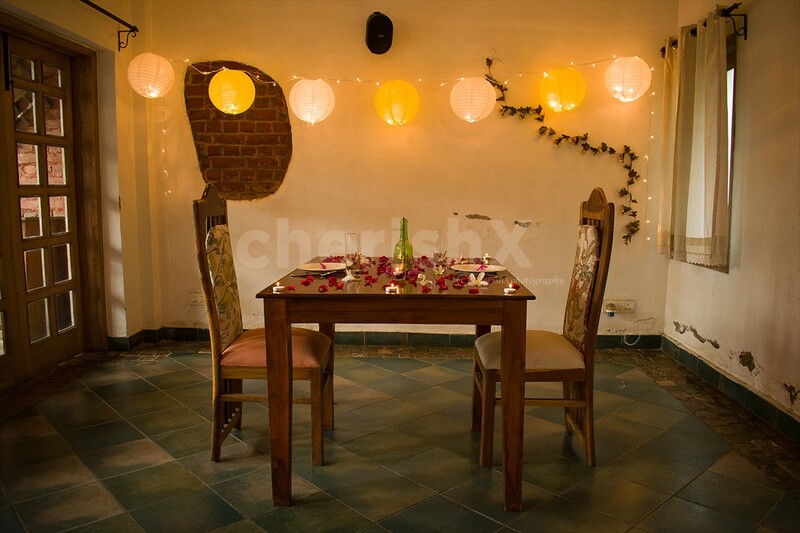 Your whole experience is thoughtfully set and beautifully decorated with lanterns, fairy lights, rose petals, candles and photo prop to relive your beautiful memories. 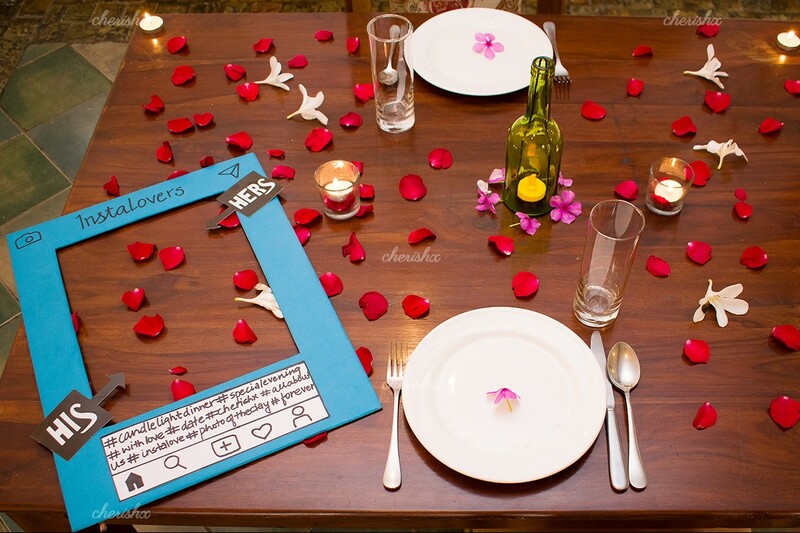 As your loved one starts to appreciate the finer details, welcome drinks are served followed by a lovely 3 course Italian meal specially curated by the chef. 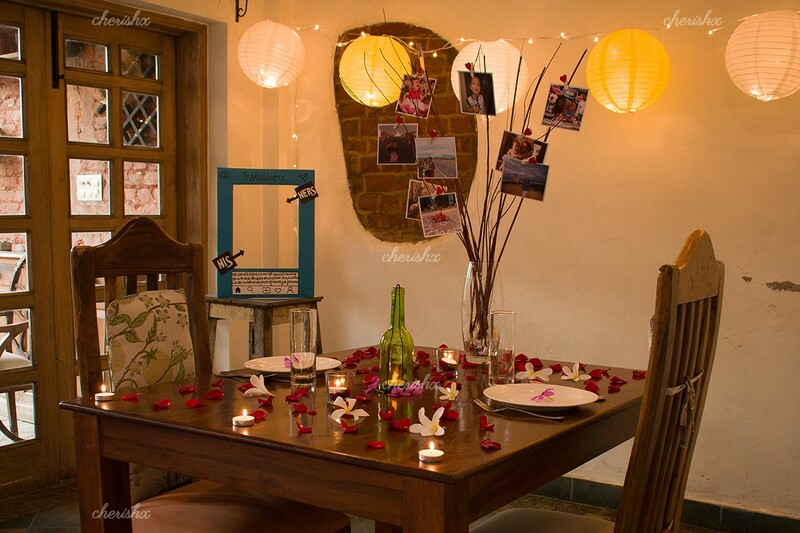 The scrumptious meals and soothing ambience leads to deep and meaningful conversations, some about the lighter moments of the life, and some about the major milestones! You can rent a picture pot to enhance your table and dining experience. This is a pot which will have 12 of your favourite memories on sticks with cute heart shaped clips.